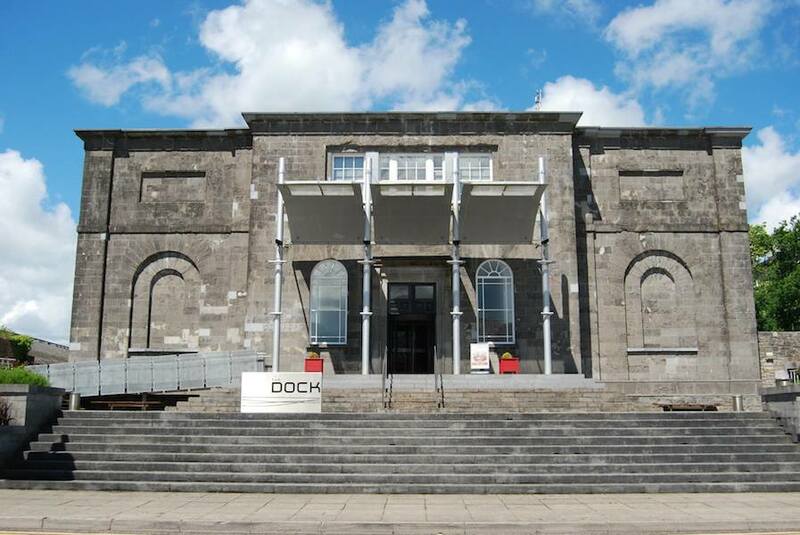 The Dock Arts Centre, Carrick-on-Shannon 2nd June - 16th August 2017. 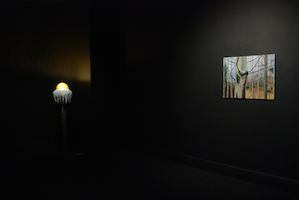 The opening night included an informal talk between Cecilia Danell and Sarah Searson and a music gig featuring Rusted Rail label acts Loner Deluxe, Cecilia Danell's musical pseudonym A Lilac Decline and Phantom Dog Beneath the Moon.Sofia Ek, who made the soundtrack for the film piece was brought over from Sweden for the opening and joined A Lilac Decline on stage. 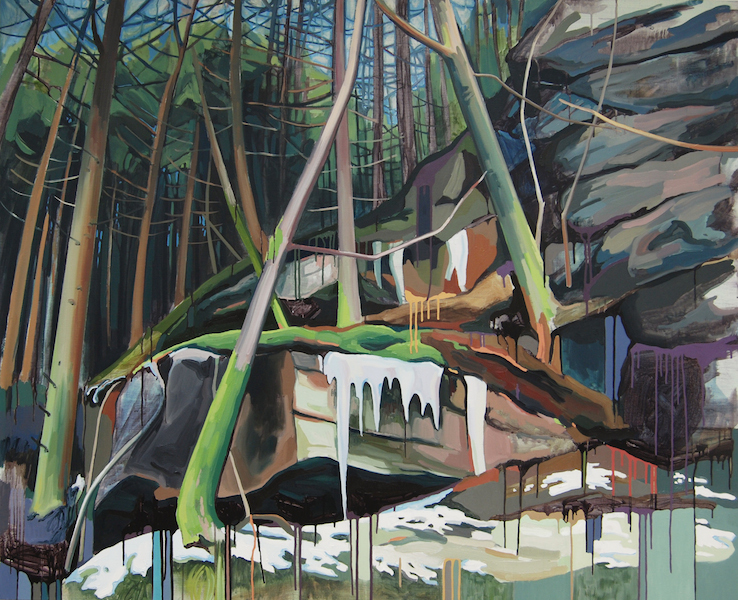 "In a post-nature future the unconscious mind will be the last wilderness." 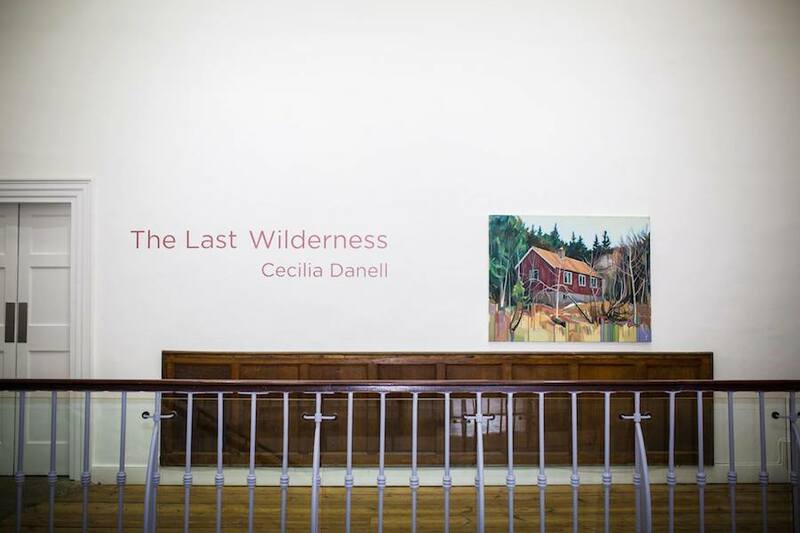 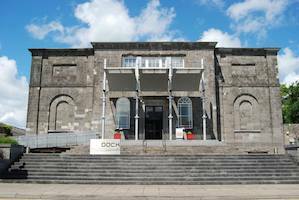 This solo exhibition is an expansion of Cecilia Danell's show at Galway Arts Centre in March 2017. 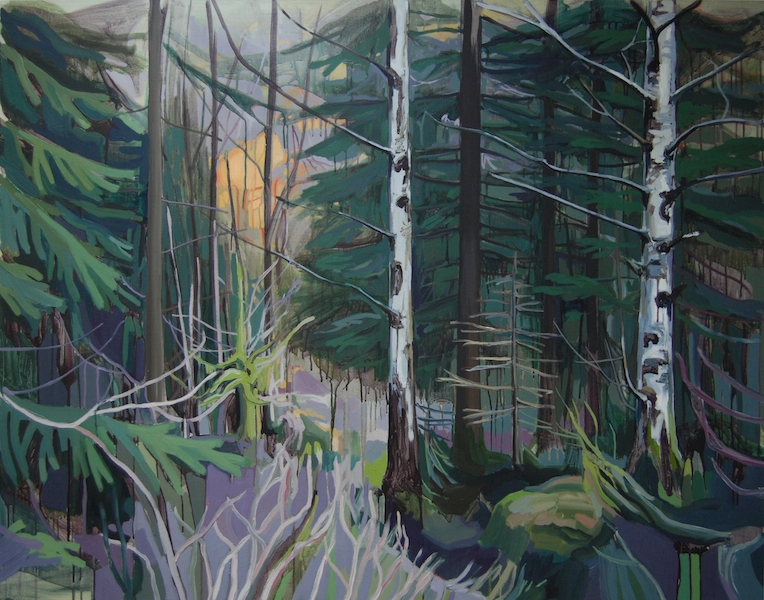 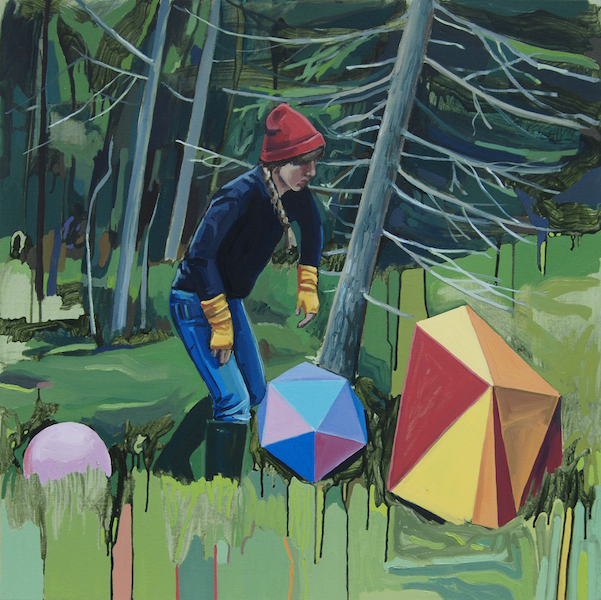 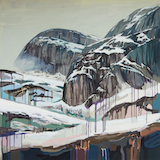 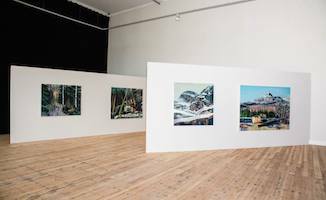 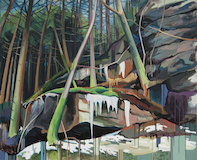 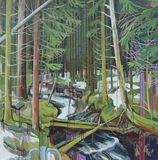 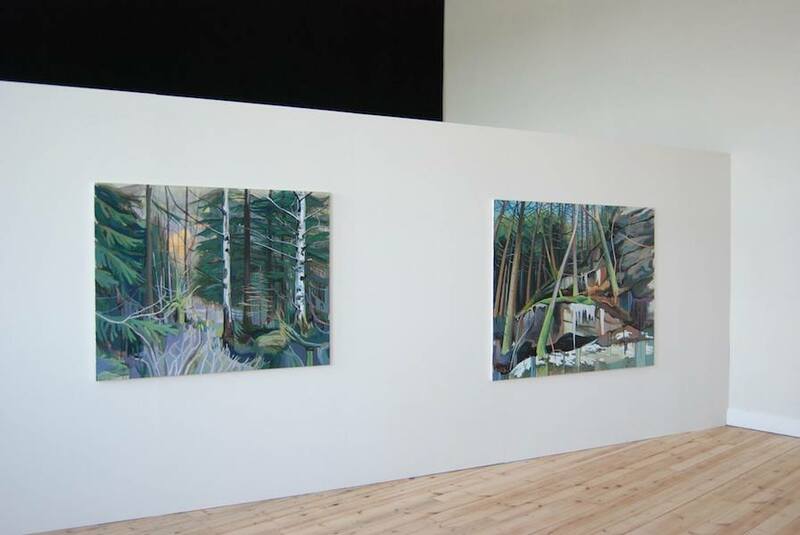 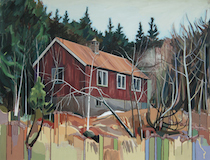 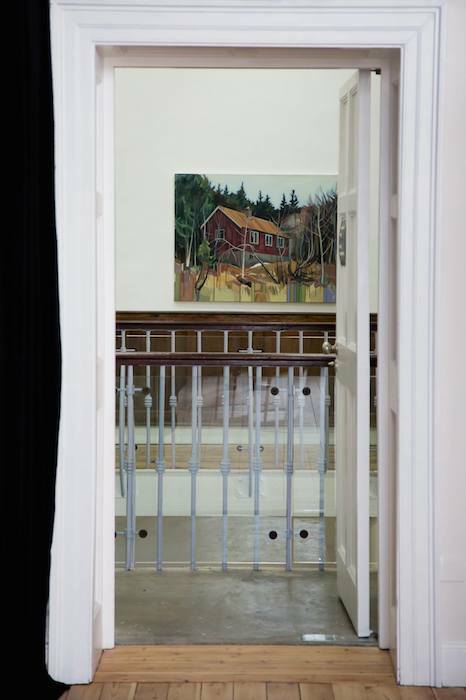 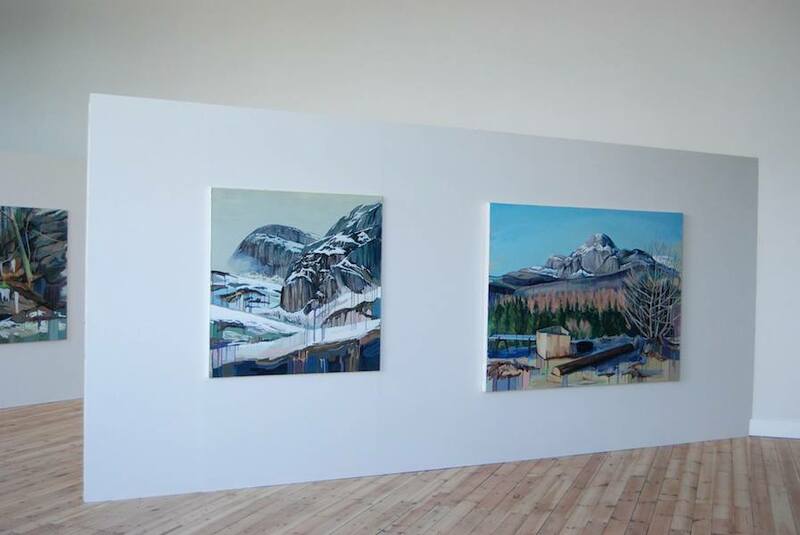 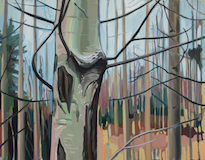 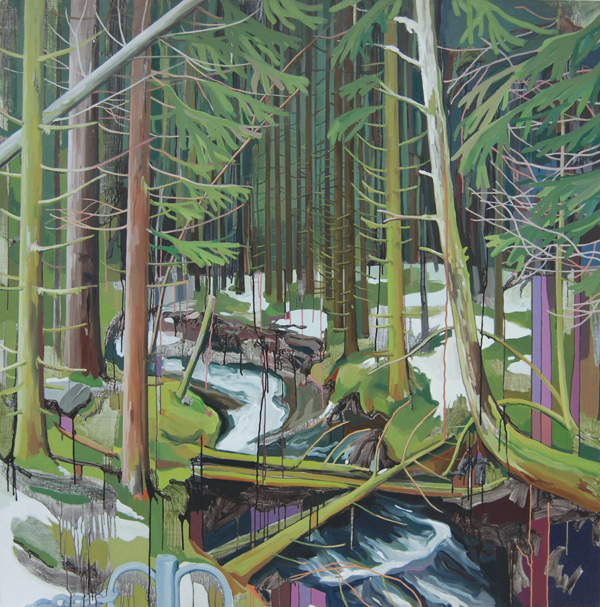 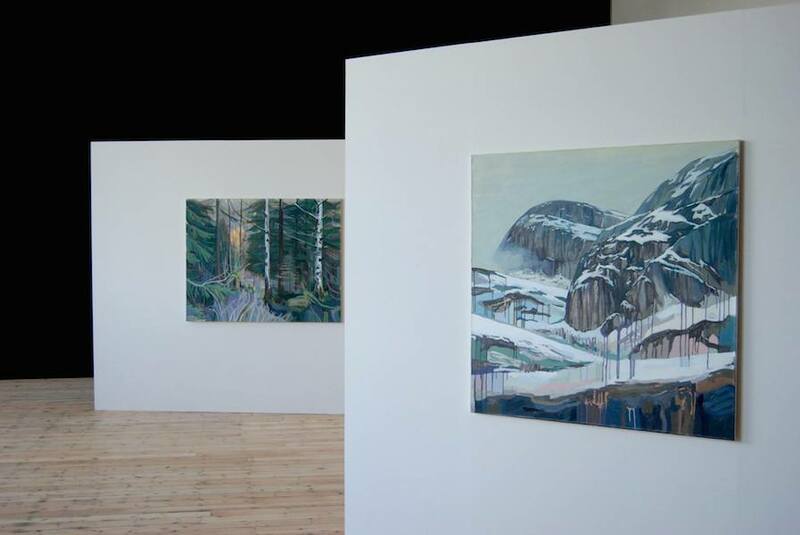 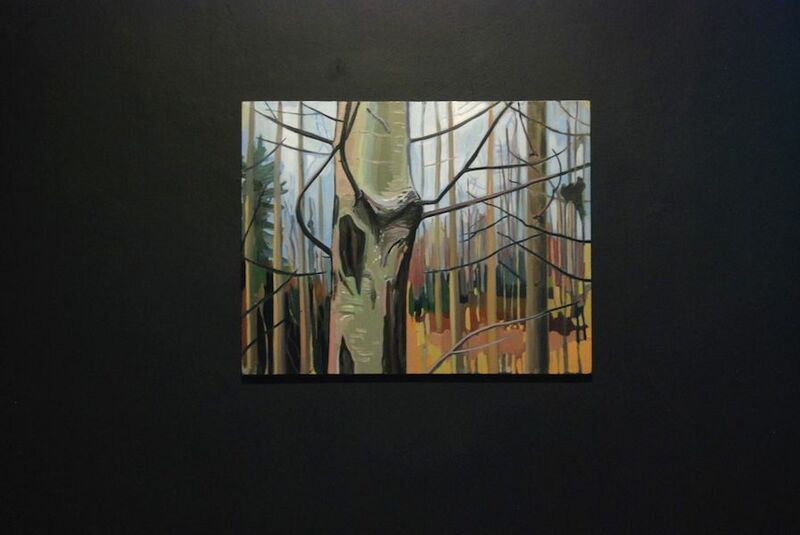 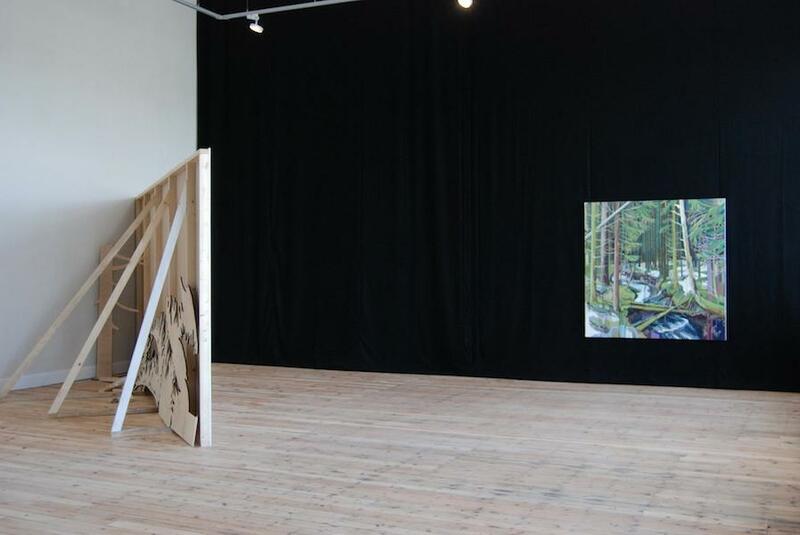 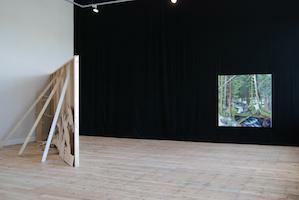 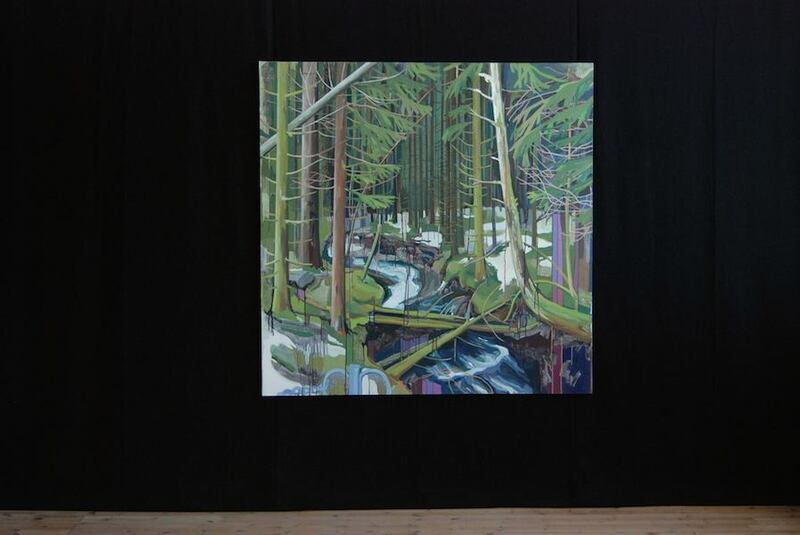 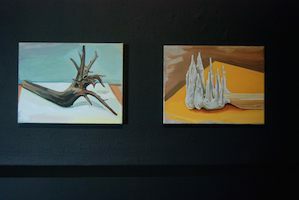 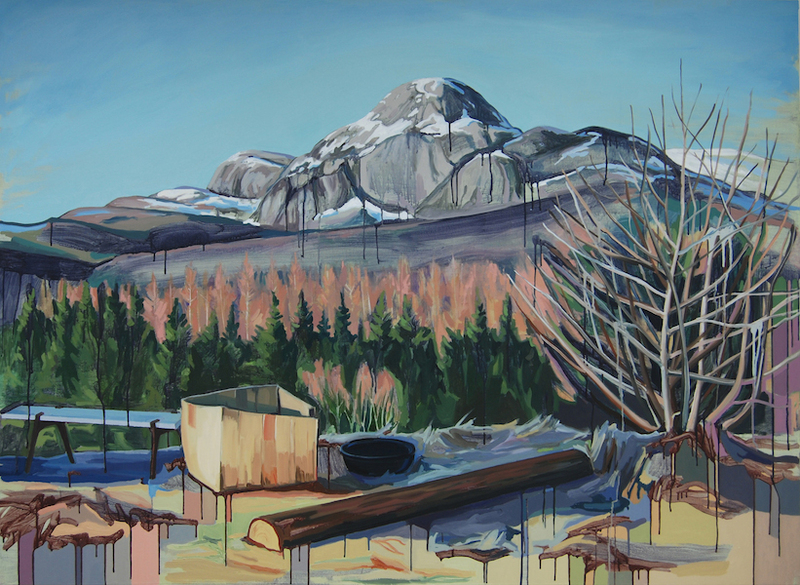 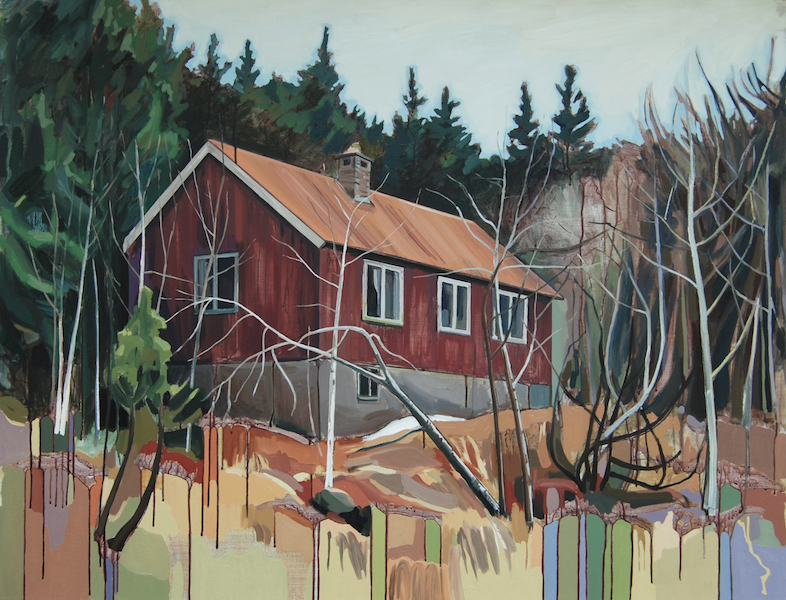 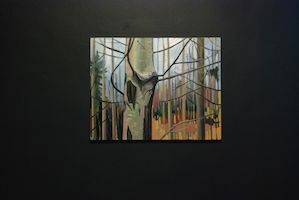 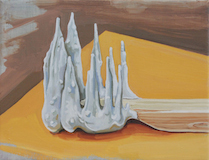 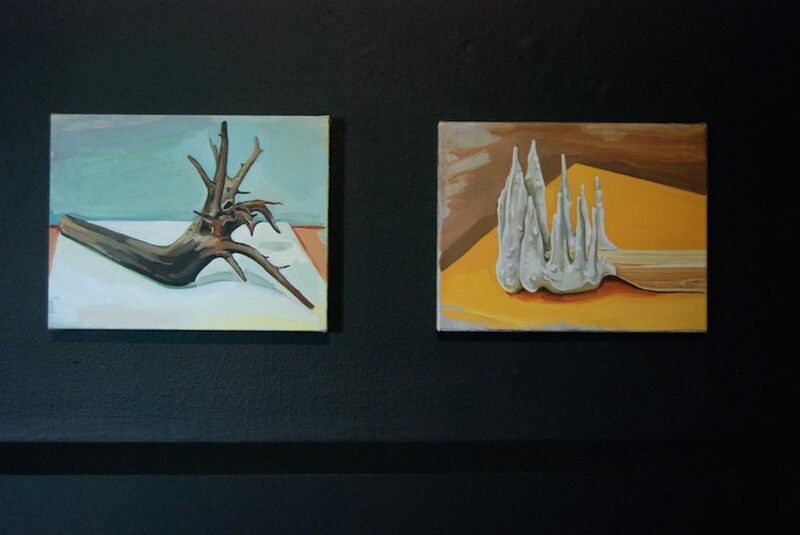 For the show at The Dock Danell's paintings of Scandinavian landscapes, influenced by a residency at the Nordic Artists Centre Dale, Norway in 2016, have been re-contextualised by making stronger references to her interests in film, theatre and performance. 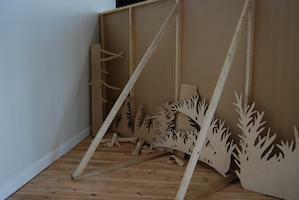 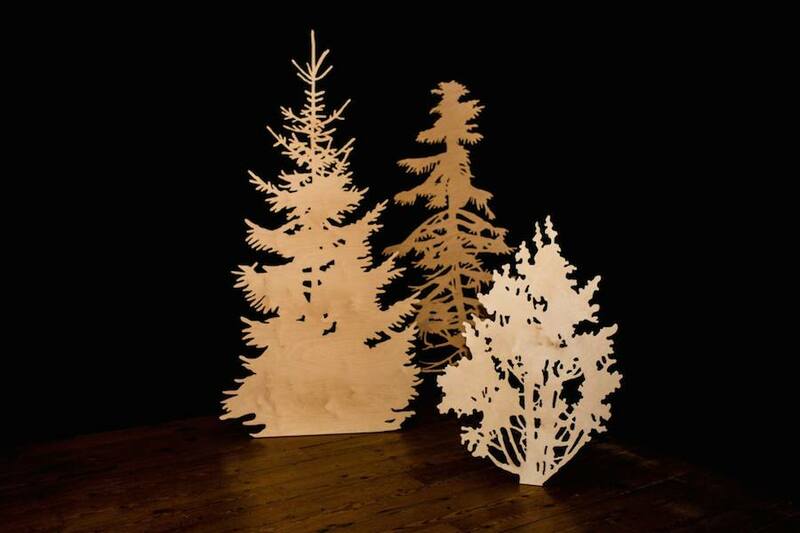 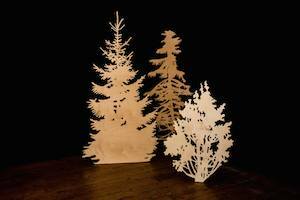 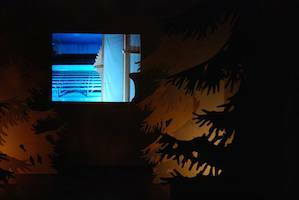 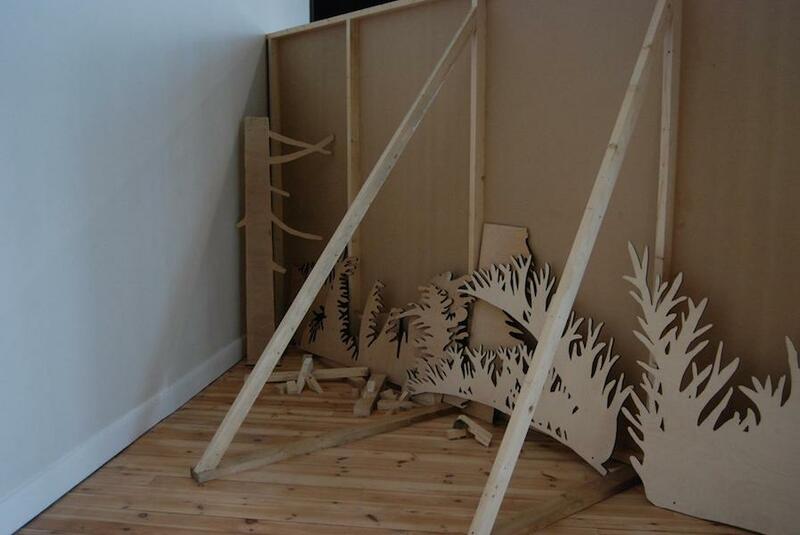 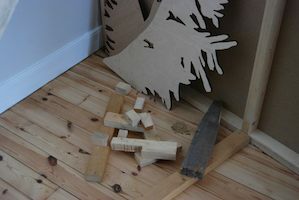 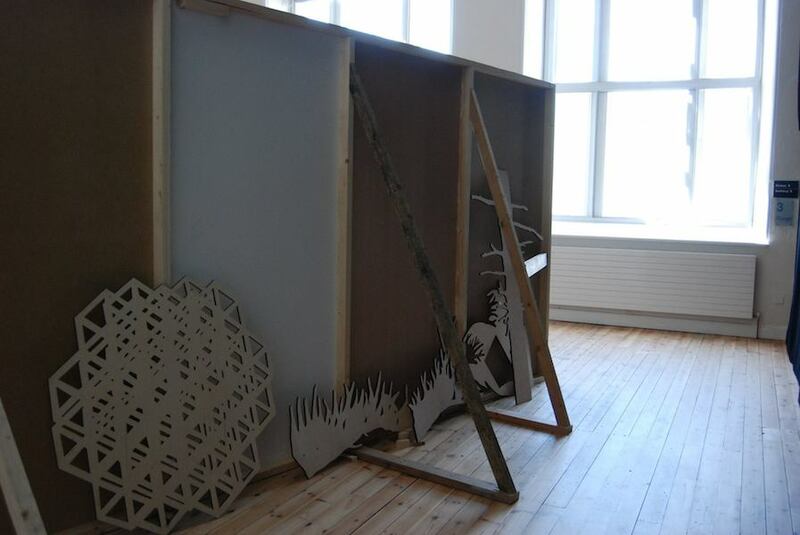 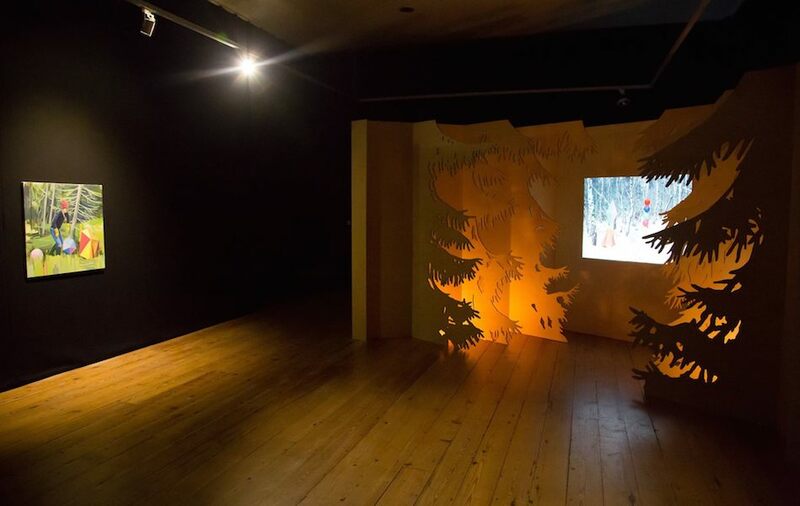 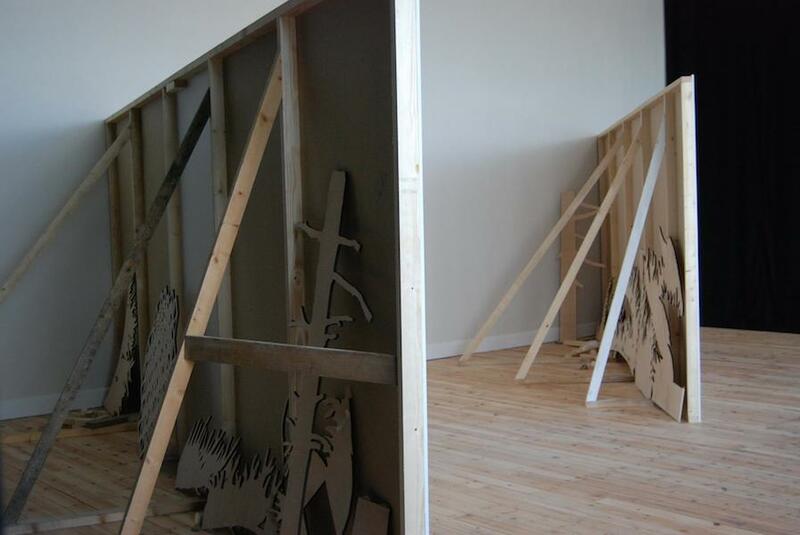 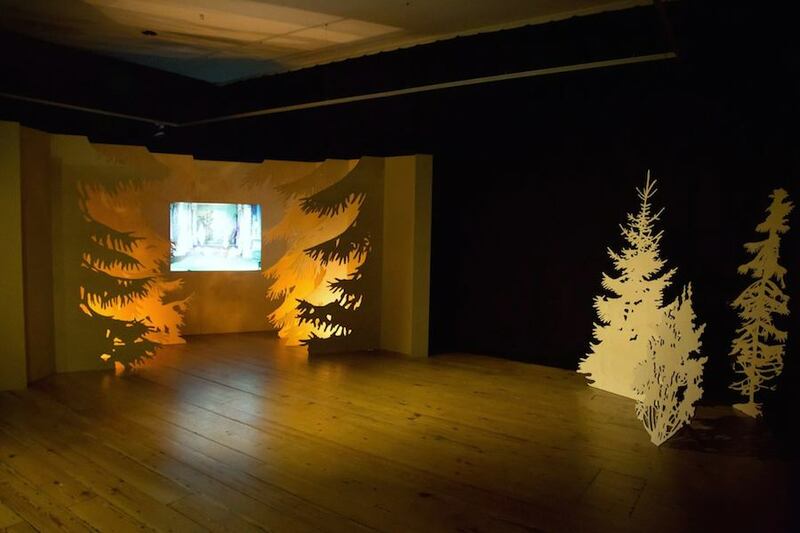 Curated by director Sarah Searson, the Dock iteration of 'The Last Wilderness' features an installation of false walls in the main gallery, mimicking theatre stage walls with a 'backstage area' consisting of laser cut plywood shapes. 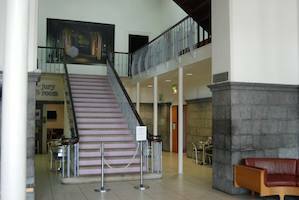 Gallery 1 contains a viewing theatre for the film 'Tonight at the Magic Theatre', which was made especially for the Dock exhibition and the entrance hall features a photograph of the Magic Theatre printed on paper pasted onto the wall, with a lilac colour on the steps which was taken from the photograph. 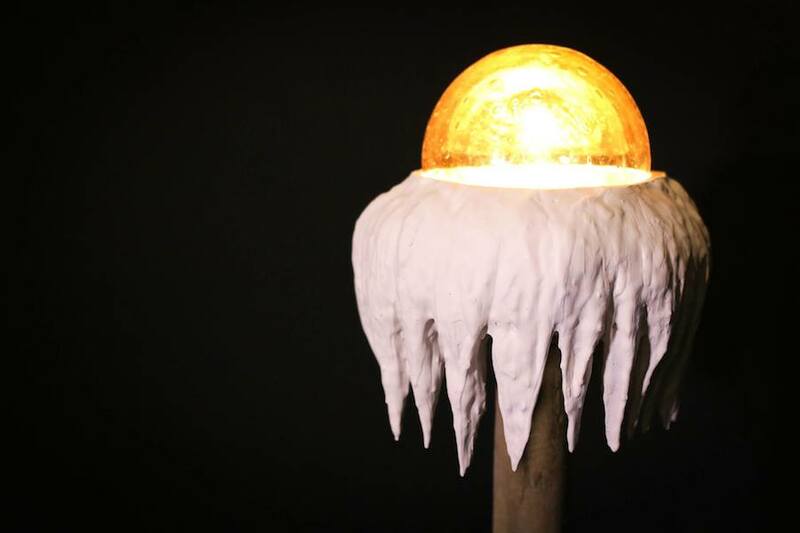 The small gallery 3 contains smaller paintings and an icicle light sculpture. 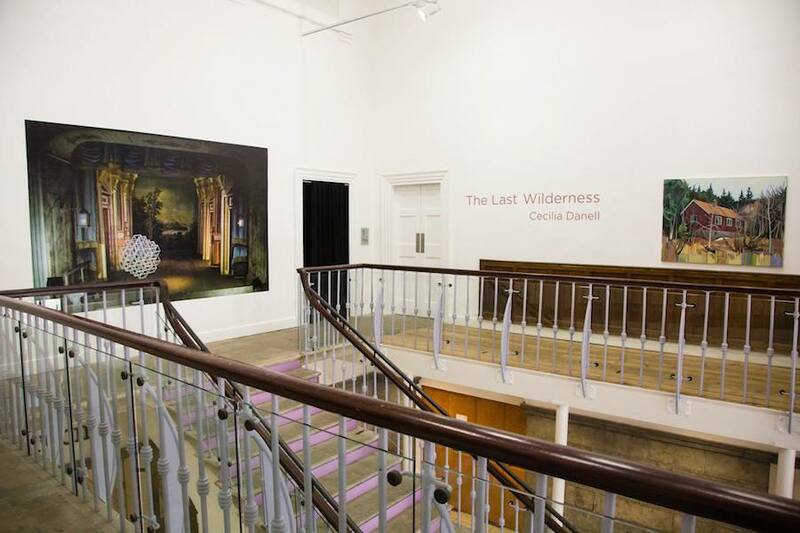 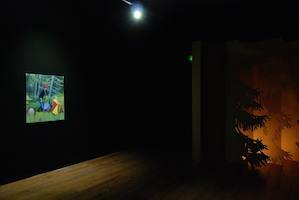 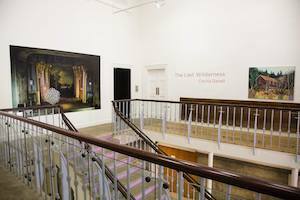 The Last Wilderness is presented in collaboration with Galway Arts Centre and is supported by a 2017 Arts Council Project Award. "We know, of course, that 'wilderness' is a growing rarity. 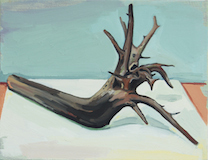 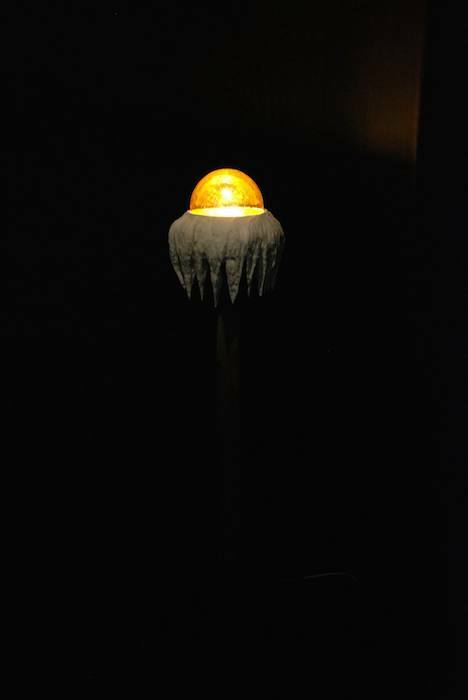 This impetus toward spiritual return or Jungian connection is the more subtle, immaterial residuethat sits astride even the most voracious landscape. 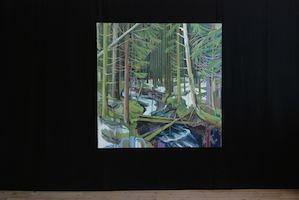 Natural spaces, then, seemingly unmoved byhuman desire are in fact underpinned with romantic attachment and existential crisis. We imbue them with an artifice they can't help but carry.It's this artifice that Danell calls to the fore."